A few weeks ago I bought the new Tamron 150-600mm f5-6.3 Di VC USD lens to use on my Canon 5D Mark III. I mainly shoot landscape and nature photography, and this lens was an upgrade from my Canon 300mm F4 L lens mainly for use on birds and other wildlife. The zoom range may also come in useful for me for more distant storm and lightning photography. It's been a while since I posted a work-through of a particular photo. My processing techniquye and style has probably evolved quite a bit since then, so I thought it time to do another one. This example is slightly different in that I'm going to use two versions of the same image, to blend together for a correct and balanced exposure. The image below is probably not the best example of when and why to blend two images together - the image below is more so just to show the technique…. I’ve been using a Canon 5D Mark III since their release in 2013 (I think it was?! ), along with a 17-40mm F4 L Canon lens. I’ve never been happy with that lens - it felt like a reduction in quality from where I had previously come (I was using a Canon 450D and a Sigma 10-20mm f4-5.6). I found the 17-40mm was never as sharp as I expected from an L lens, it suffered badly with distortion and chromatic aberration…. There are two things I believe are the most important things to get right, in camera. The first is composition, you can't change that in post-processing aside from a little cropping. The only way to stop elements "overlapping" in a photo (e.g. no tree coming out of a persons' head, etc) is to move your feet and camera at the time of the shot. Photographically, "panning" refers to the action of moving your camera whilst taking a photo. Typically, the camera is "swiped" horizontally or vertically…. 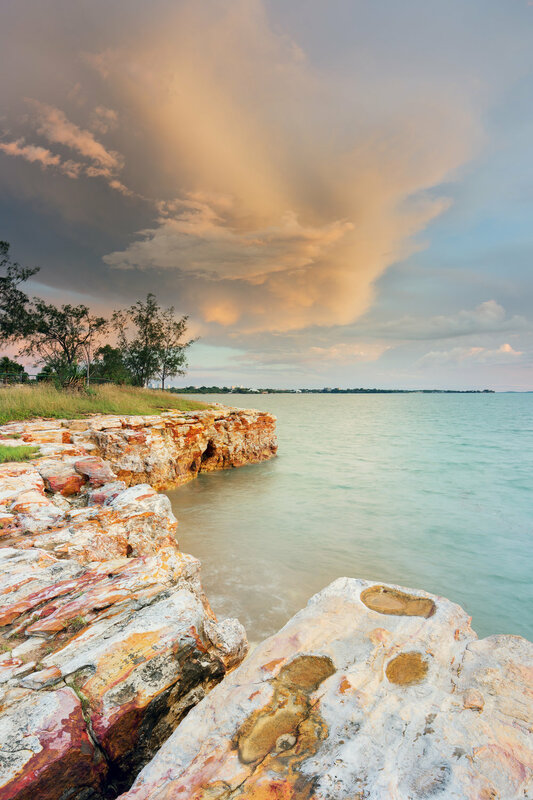 TIPS | Darwin Seascape Guide - Where to go and when! 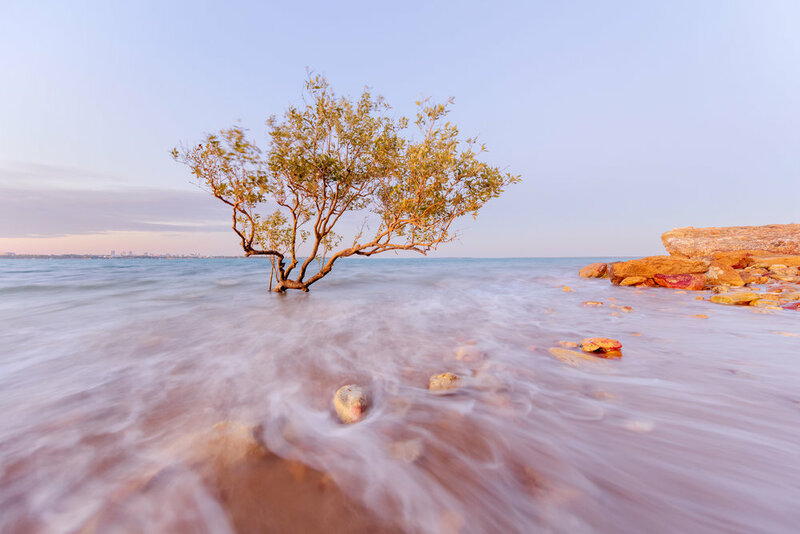 By popular request, I have put together a summary of some of my favourite places around Darwin's beaches to take photos: when to go and what tides are best. I hope this helps a couple of people who are looking for somewhere to go tonight! A common question people ask me about my photos is if the colours are real. The answer is always yes. I very rarely adjust the colours in my photos, and if I do, it is generally a white balance correction (e.g eliminating a green/blue cast in the shadows) or a contrast adjustment…. 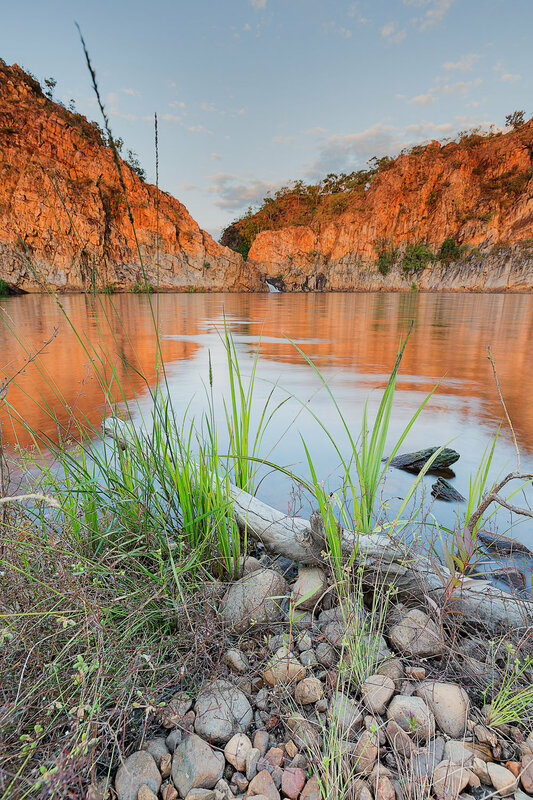 The country surrounding Darwin has more than its fair share of waterfalls. Our landscape is patterned with rivers and rapids, gorges and escarpment. 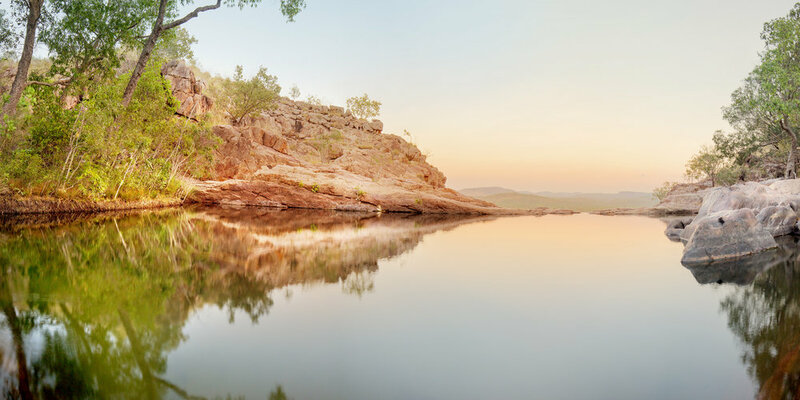 Our landscape goes through extreme seasonal changes: whilst our waterfalls are perfect for a refreshing dip in the dry season (as long as they are crocodile free, of course), they become a deathly torrent of raging flood waters in the wet season. Our waterfalls are some of our most loved attractions - loved by tourists and locals alike. 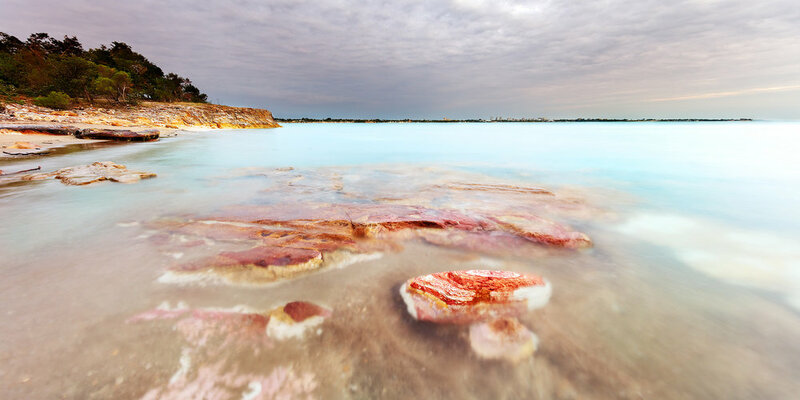 So how do you go about photographing these natural wonders…. recently posted about which lenses can be the best for landscape photography - http://wp.me/p3zwhm-51 The general consensus is that wide angle lenses can be the "best" for landscape photography. They exaggerate depth, alter perspective and create that "wide open space" effect that works for those great views! This is a question I get asked regularly, and there really is no answer (sorry!). The answer depends on you, what sort of landscapes you like shooting, what other gear you have, the environment you shoot in.... the list goes on…. 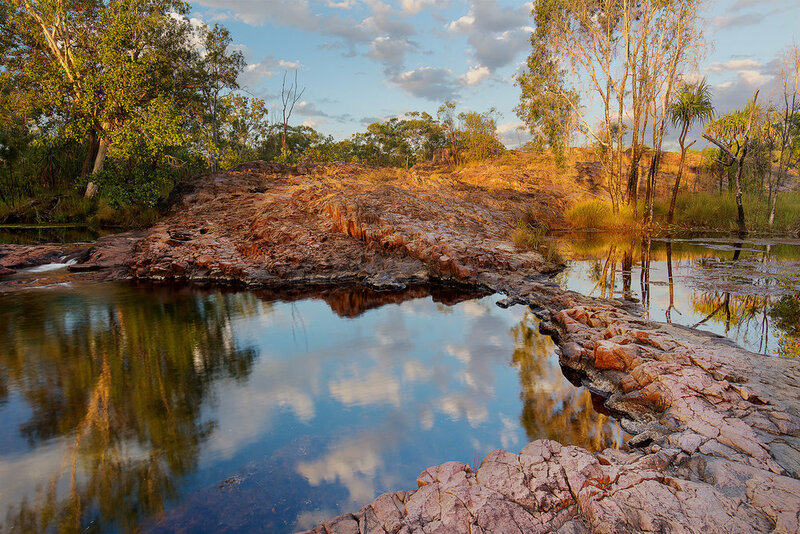 Darwin will always hold a very, very special place with me - it is where I first became inspired to learn about taking landscape photos. Don't worry, I'm not leaving town! I have many years to come, of photographing the NT. But I am very excited about getting out in to some new territory…. Over the last few weeks, I have lost count the amount of people that have asked me "how do you take photos of lightning?".... It is a hard question to answer! I think my questioners expect a quick one or two sentence answer.... but it's not that easy (as anyone who has tried, will know). Professional landscape photographer's always talk about the "light" in their photos. For me, I agree. 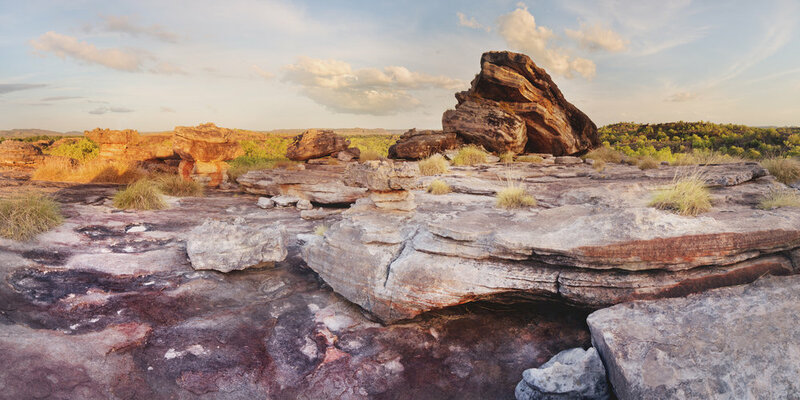 To achieve an exceptional landscape photograph, you need to be able to use the light - and wait for the "right" light. It's hard to explain how to use the light. You kinda learn, over time, how to see it. What to look for, and why it looks different…. A few of you who follow me on Facebook or Flickr will see I've had a couple of recent attempts at taking photos of the stars. This was all sparked by me hearing about the Perseid Meteor Shower. I've never heard of it before this year - it is an annual shower, that provides regular and spectacular meteors for us viewing down here on Earth. Every year it peaks around the 11th of August, and I decided to try and catch my own meteor on camera.